Ten June: Feeling the Love: We're Featured! Only a few short hours after we posted our striped office makeover yesterday, I had an email in my inbox from the one and only Cassity with the blog Remodelaholic. Everyone go check out Remodelaholic today (and every day- it's a great read)!! And thanks again, Cassity! Congrats! That is an amazing feeling. 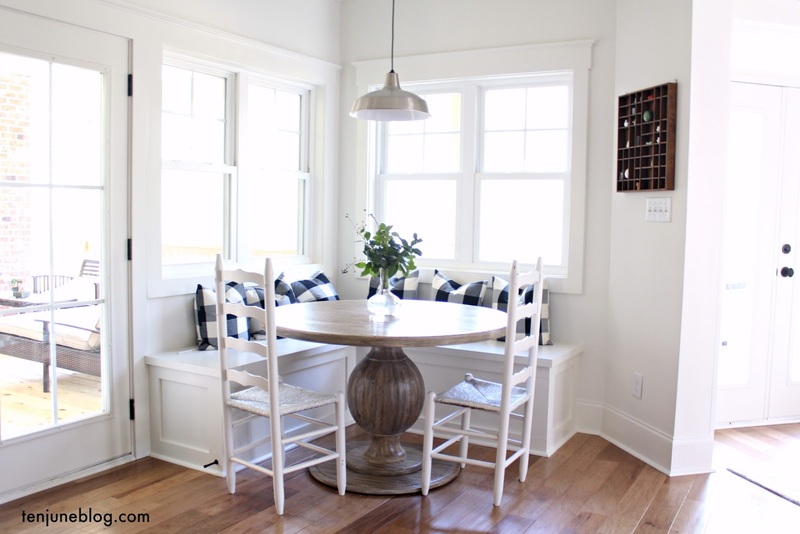 I just came across your blog today and LOVE your house! I just purchased a ranch outside of Atlanta and am going through the adventure of updating it :) I'm trying to keep my blog updated as much as I can (http://notyourgrandmashouse.blogspot.com/). It is so great to see amazing DIY projects!! Good luck with the future projects! Congrats:) You totally deserve the feature...I am seriously in love with your office!